14" diagonal Touchscreen with Corning® Gorilla® Glass 5. FHD (1920x1080) or optional UHD (3840x2160). Optional HP Sure View Privacy. Includes security, performance, and manageability features. 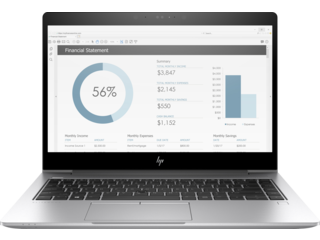 Enterprise-grade security and manageability.&nbsp; Designed for the modern mobile professional. 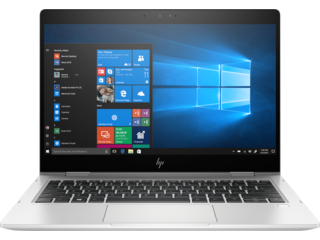 A thin and light laptop with security, performance, and management features. 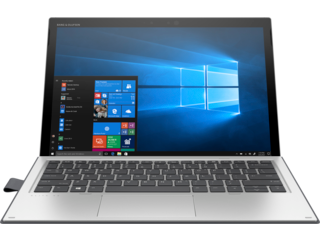 If you're looking for a computer that can bring your business to the next level, then you're looking for an EliteBook. We’re confident you’ll find a model that’s just right with this series. 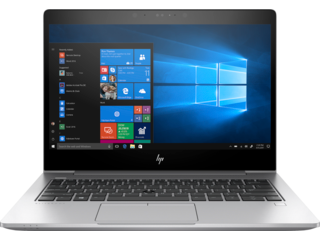 It includes the world's most secure and manageable convertible business laptop, our thinnest and lightest convertible laptop for business, and a notebook with all the power you need to take on your biggest work challenges. 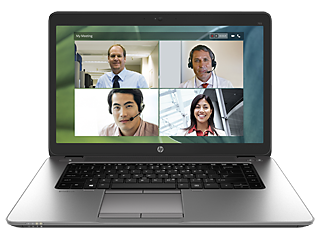 There’s no better way to say you mean business than with the performance built into an HP EliteBook laptop. No matter the task, there's a wealth of options to ensure you get the processor you need to get your frequently executed jobs done. With options for 6th Generation Intel® Core™ m7, 7th Generation Intel® Core™ i5 or i7, or even 8th Generation Intel® Core™ options, you have some of the hardest working processors to match the effort you put into your work, every single day. And if you'd like even more options, we offer models with AMD A10 Pro or AMD® Ryzen™ APU processors, so you won’t have to worry about getting exactly what works for your team’s unique needs. With 8GB to 16GB of RAM, you’ll have all of the memory you need from your computer, for all that your daily tasks demand from your system. And with options from 128GB to 1TB of SSD storage, you can choose just how much space you desire, while getting the speed required to quickly access your information when it’s most important. We offer models that can help ease the burden of any security issues that may arise by healing themselves in case of an attack. 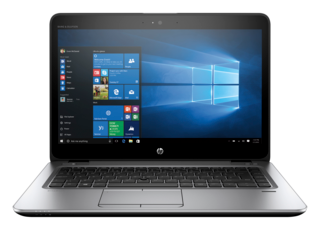 Whether it’s HP Sure Start Gen3 or Gen4, you’ll have the features you need to protect, and restore, your system BIOS. HP Sure Run ensures everything keeps going, even if a malware attack happens. And HP Sure Recover allows you to bring your PC back to the last working moment, should anything unexpected pop up. When you have HP Sure Click, you don't have to worry about an accidental click of the mouse getting you in trouble on an untrustworthy website. With it, you'll have malware, ransomware, and virus protection from websites along with any seemingly safe, but malicious, files. Add in HP Sure View Gen2, and you’ll have the power to prevent anyone from spying on any important data you may have visible on your screen. In a snap, you'll be able to quickly enter into privacy mode, which makes even the sharpest eyes struggle with picking up any information that may be on your display when it’s viewed at an angle. You’ll also have the software and hardware security you need with Multi-Factor Authenticate Gen2. It grants the ability to move past single or double authentication, because you get triple authentication with password, fingerprint, and facial recognition features. This all ensures that only you or other authorized users can access your device. When you need a thin laptop for maximum portability without losing any ports for maximum versatility, our heavily secured EliteBook 840 can cover all of the bases and be just what you’re looking for. If you want the peace of mind that comes with having a laptop that passed the military's MIL-STD 810G testing, an EliteBook will put you at ease. Whether it's dirt and dust, or more bumps than you'll ever encounter on a turbulent flight, you'll have a tool built to stand the test of time. We actually put your laptop through more than ruggedly demanding military testing. 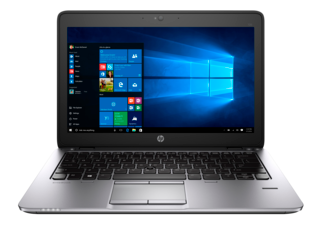 Our devices undergo the HP Total Test Process and 120,000 hours of rigorous activities to ensure you're getting a computer that will be around day after day. If you encounter bumps, drops, or even electrical shocks, you can be sure we’ve already put your computer to the test to ensure it can bounce back from a worst case scenario. 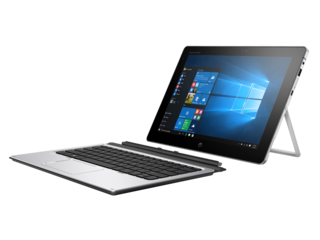 When you choose an HP Elite, you’re getting a device that can withstand a day at the office, wherever your office may be. When you’re sitting down to work, Windows 10 Pro will give you all you need from an operating system for yourself or for your business. And if you're out of the office and require something reliable with enough battery power to sustain you throughout a busy day, we have just the thing to help with that too. When you have a model like the HP EliteBook x360 1030, you can get up to 15 hours and 15 minutes of power for those times when you just can't get to an outlet. Do you need something that can exceed your highest battery life expectations? 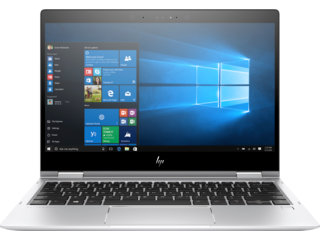 Consider our EliteBook 1040, which can give you up to 18 hours of power. It also packs a 14-inch display and weighs only 3 lbs, so you're never held back when you want to turn "everywhere" into your next office. You're not only getting the juice you need to get things done, because you're getting versatility to match the tasks the world throws at you. With a convertible notebook, you can use your device in laptop, tablet, media, conference, and tent mode to get everything you want out of any situation. Whether you’re looking for a 12.5-inch to 15-inch, touch, or non-touch display, the choice is yours. And with HD and FHD options, a day’s work never looked so good. It doesn’t matter whether you need to make a report, assemble a memorable presentation, or do extra research, we think you should be able to tackle it all with one tool. No matter what shape or size your business challenges come in, you'll have everything you need to handle anything on your agenda with our EliteBook laptops.